Beverage Events Boston Bartending Service provided beverage catering for Boston wedding resource the Knot‘s Boston Cocktails and Connections event at the Waterworks Museum in Chestnut Hill. 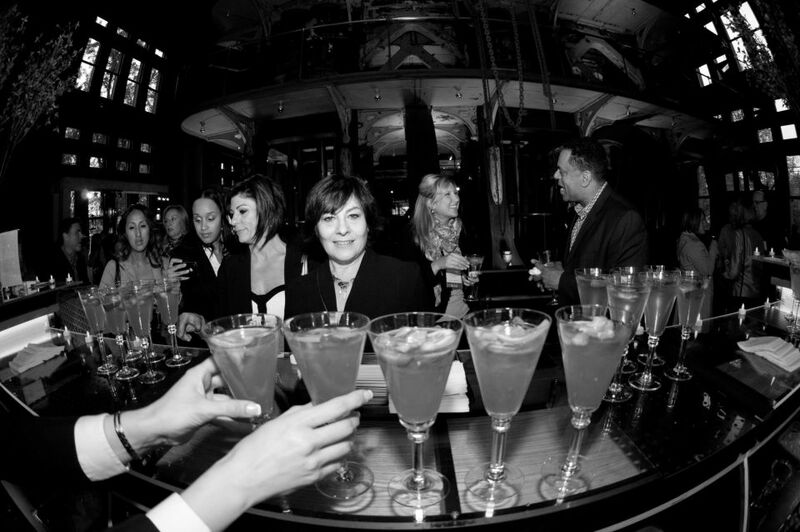 Guests sipped on our signature cocktails and mingled about our beautiful custom bar, made especially for the mixer. Our professional, certified & insured bartender, Michelle Pivovarnik, quenched the thirst of Boston’s best wedding and event professionals with her own recipe for White Sangria, a concoction of white wine, vodka, triple sec, brandy, white grape juice, and bountiful fresh sliced fruit. The signature cocktail was made especially for this event in order to, in Michelle’s words, “captivate the essence of ‘elegance’ and ‘bride-to-be.’” Guests loved the drink – the first batch disappeared within the first hour! 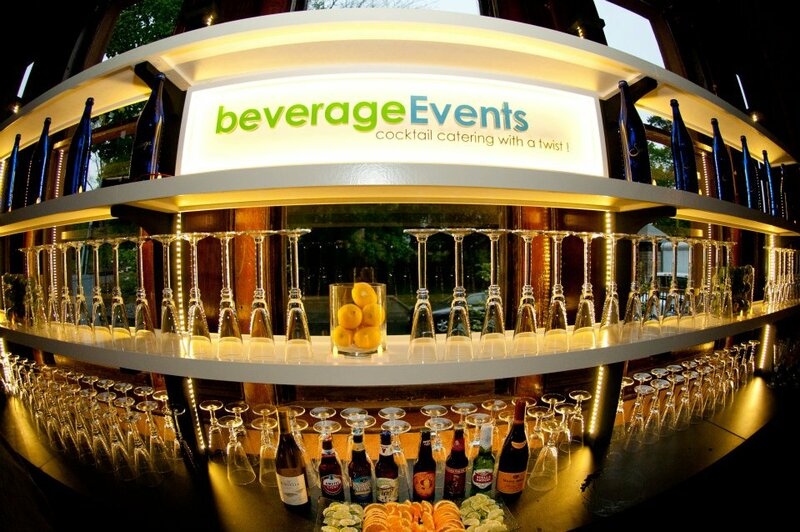 Michelle’s favorite aspect of the event was that the bar was the hub of the event: the custom bars now available for rent from Beverage Events Boston Bartending Service! She described the portable bars as “a catering bartender’s dream to work out of – a far cry from the usual 6’ standard table with linen!” The bars featured beautiful plexiglass counter tops, integrated lighting, and a captivating glassware display in back. 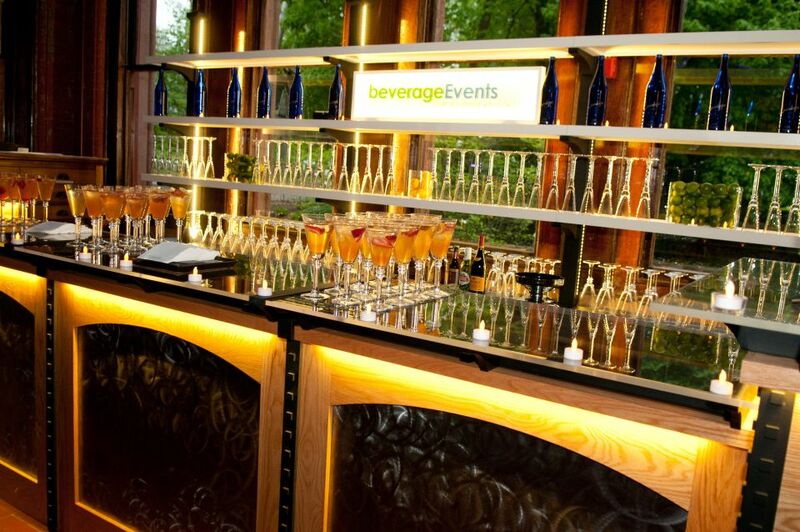 The stunning display for the Knot at Boston Cocktails and Connections at the Waterworks Museum was a showcase of how a custom bar can add a new dimension of style and ambiance to any event. 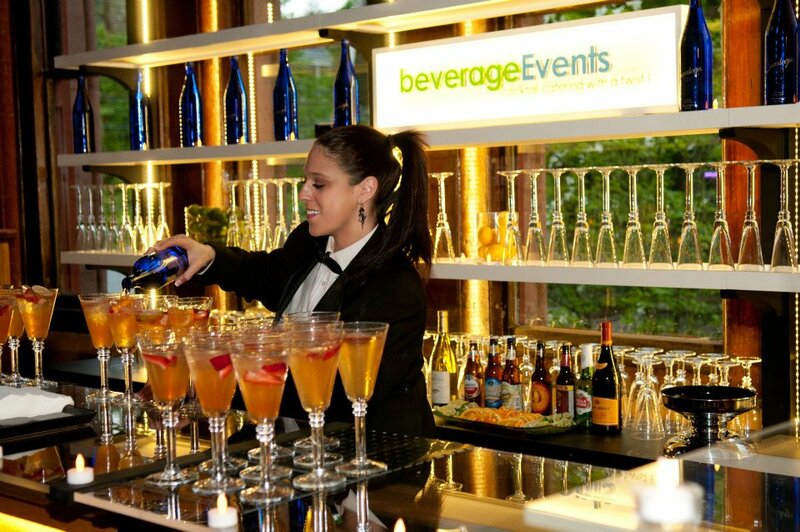 It was also a testament to how Beverage Events Bartending Service in Boston can provide so much more than just a bartender!